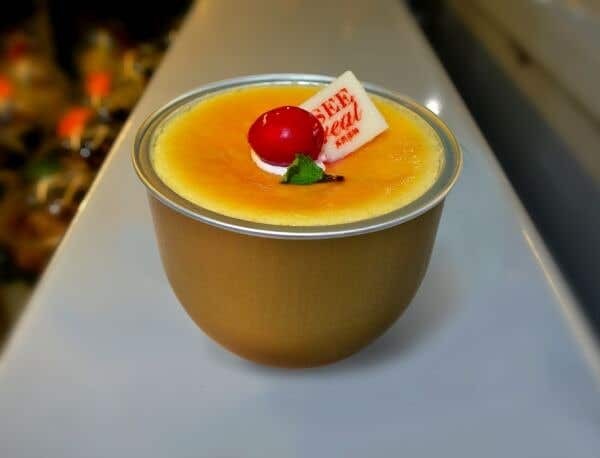 This delicious creme brulee is ideal for weddings, bridal showers, spring parties and upscale restaurants. It looks exceptionally pretty in Restaurantware Gold Foil Pans, which come in a variety of sizes. Doesn’t this dessert look incredible, try serving it up at your next special celebration. Heat your oven to 350 degrees, in a sauce pan bring heavy cream and sugar to a simmer. Once mixture comes hot and reaches a simmer, take off heat and let it sit for about 10 minutes. In a bowl combine sugar and egg yolks, whisk together until they are a pale yellow color. Now, whisk the cream mixture into the egg yolk mixture and pour into beautiful gold foil pans. Place pans in a semi-deep baking dish, Put boiling into the baking dish, add enough water so it reaches half way up the foil pans. Bake for about 30 minutes, until the custard is set, but still jiggles a little bit. Put a layer of brown sugar on top of the custards and place them under a broiler until the sugar becomes lightly browned. Serve. This is one classy and delicious dessert, hope you enjoy.